Apart radio is selections of music, and sometimes words, put together by a variety of music devotees; people who are passionate about experiencing and expressing the music we love. Some are household names, others may have never performed in front of anyone. Some mixes will be recorded live at one of our events, others will be pieced together on a laptop in a bedroom. Regardless of name, genre or technique, these are all purveyors of quality music, sharing sounds that move and inspire them. 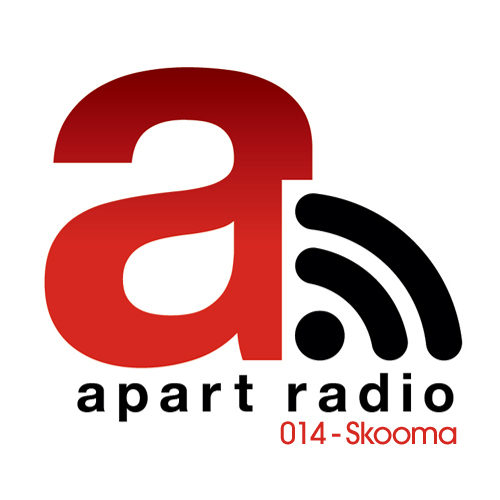 Stream or download episode 014 of the Apart Radio podcast featuring a live mix by Skooma at Studio 200. Hosted and produced by Jason Allen. Recorded November 6, 2015. Stream or download episode 013 of the Apart Radio podcast featuring an exclusive mix by Pezzner. Hosted and produced by Jason Allen. Recorded June 2015. Stream/Download Episode 012 of the Apart Radio podcast featuring a live house/techno mix by Milwaukee's very own Uncle Ryan. Hosted by Fortune, produced by Jason Allen. Recorded April 2015. Stream or download episode 011 of the Apart Radio podcast featuring an exclusive house/techno mix by Chicago's very own Jevon Jackson. Hosted and produced by Jason Allen. Recorded April 2015. Stream or download episode 009 of the Apart Radio podcast featuring a pre-recorded house / techno mix by Denver’s very own Paul Anthony. Hosted and produced by Jason Allen. Recorded December 2014. Stream or download episode 008 of the Apart Radio podcast featuring a live recorded house mix by Chicago’s very own Paul Johnson. Hosted by Fortune, produced by Jason Allen. Recorded April 2014. Stream or download episode 007 of the Apart Radio podcast featuring a live recorded techno mix by Minneapolis’s very own Centrific. Hosted and produced by Jason Allen. Recorded January 2014. Stream or download episode 006 of the Apart Radio podcast featuring a pre-recorded tech house mix by Milwaukee’s very own Niki Kitz. Hosted by Fortune, produced by Jason Allen. Recorded February 2014. Stream or download episode 005 of the Apart Radio podcast featuring a live recorded house mix by Madison’s very own Nick Nice. Hosted and produced by Jason Allen. Recorded August 2013. Stream or download episode 004 of the Apart Radio podcast featuring a pre recorded house mix by New York’s very own The Juan MacLean. Hosted by Fortune, produced by Jason Allen. Recorded September 2013. Stream or download episode 003 of the Apart Radio podcast featuring a live recorded house mix by Milwaukee’s very own Jason Allen. Hosted by Fortune, produced by Jason Allen. Recorded April 2013.